North Korea has freed / deported an 85 year old American after holding him for over a month. Merrill E. Newman, a former soldier had been accused of committing war crimes during the Korean War 60 years ago. It is still unclear exactly why the veteran thought it might be a good idea to visit North Korea, but it seems that his ill fated mission has ended in smiles and perhaps even signs of a diplomatic thaw. Newman had been accused of advising and providing material help to South Korean guerrillas fighting behind Northern lines in the early 1950’s. North Korea said of him "He masterminded espionage and subversive activities against the DPRK and in this course he was involved in killings of service personnel of the Korean People's Army and innocent civilians,"
He was visiting North Korea as a tourist, perhaps keen to reconnect with his past when he was escorted off an Air Koryo flight on October 26. After a month of stormy diplomatic negotiations, a published apology, and a videotaped confession, the Korean Central News Agency, (KCNA )said the decision to let him leave was made "taking into consideration his admittance of the act committed by him on the basis of his wrong understanding, apology made by him for it, his sincere repentance of it and his advanced age and health condition". "I am very glad to be on my way home," a cheerful Newman told reporters upon his arrival in Beijing "And I appreciate the tolerance the [North Korean] government has given to me to be on my way." He had been offered a lift home by US Vice President Joe Biden, who was banging his head against a red brick wall in the region as attempts to resolve Chinese territorial claims in the South China Sea foundered. "I offered him a ride home on Air Force Two but as it was pointed out, there is a direct flight to San Francisco, his home. So I don't blame him, I'd be on that flight too," said Biden. 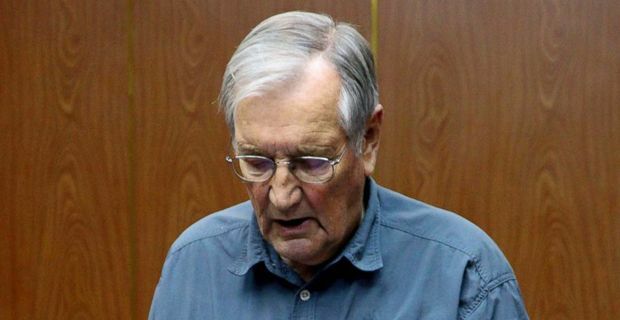 It's a reassuringly rational move by the North Koreans, who clearly weighed the political value of imprisoning a pensioner whose role in the 'crimes' in question was peripheral against the value of a public confession and the appearance of mercy. It was a sensible political move. The United States welcomed North Korea's decision to release Newman and called on Pyongyang to pardon another U.S. citizen being held since November last year.